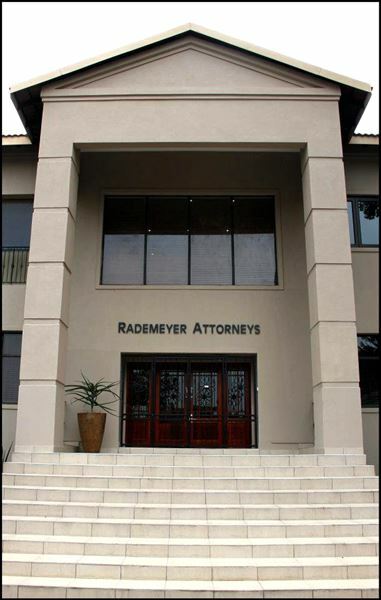 Rademeyer Attorneys always strive to provide the best possible service to its clients. 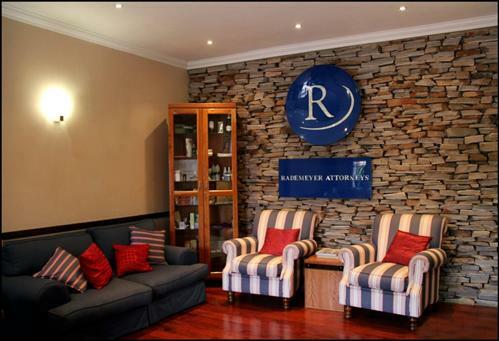 Rademeyer Attorneys was awarded second place in the Small Business of the year by the Randburg Chamber of Commerce and received the Silver Award for Excellent Service in 2011 from the Randburg Chamber of Commerce. Associated litigation in all areas of Intellectual Property is also undertaken. In addition, services relating to commercial litigation in the High Court and Magistrate's Court, drafting of agreements, formation of companies, close corporations and trusts, advice on labour and employment matters, drafting of wills and nuptial agreements and administering of deceased estates are also offered.